If you are looking to Buy or Sell a home in the Greater Albuquerque area, you have come to the right place! 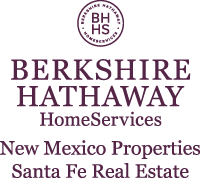 Our names are Mark and Jill Carlisle with Berkshire Hathaway HomeServices. We are ready to assist you with all of your real estate needs. Our approach is customized for each client; our solutions are never one-size-fits-all! Give us a call or send an email when you are ready to visit some homes or to schedule a free home buying or selling consultation. We look forward to serving you!